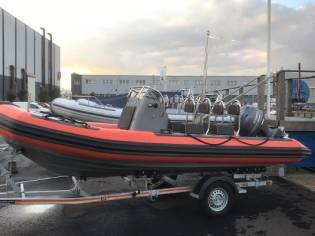 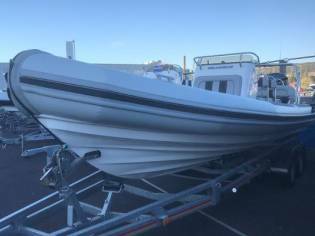 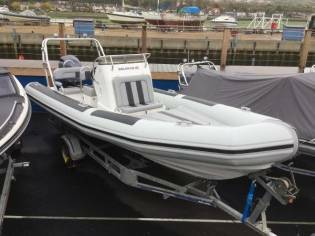 Ballistic 6.0M RIB powered by Yamaha The Ballistic 6.0 has been re-designed and built with safety, style and adventure in mind. 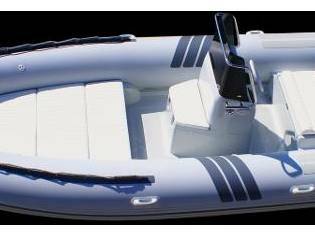 The stylish grey and charcoal hypalon tubes and premium Silvertex upholstery give a luxurious look and feel to the Ballistic 6.0. 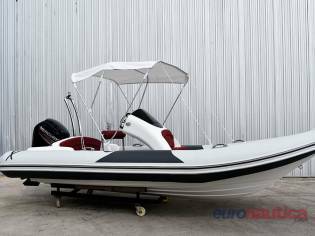 With a spacious deck and great seating layout, you can comfortably seat all of your family on the Ballistic 6.0, and a stable and dry ride is ensured with the large tubes and deep V hull. 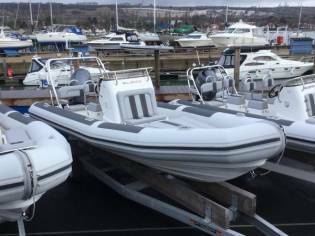 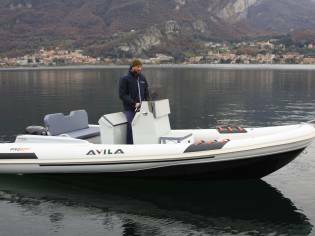 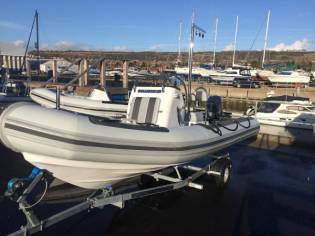 The Ballistic 6.0 is a perfect starter family RIB, and would also make a great support boat for training centres and sailing clubs.